- Haha look! 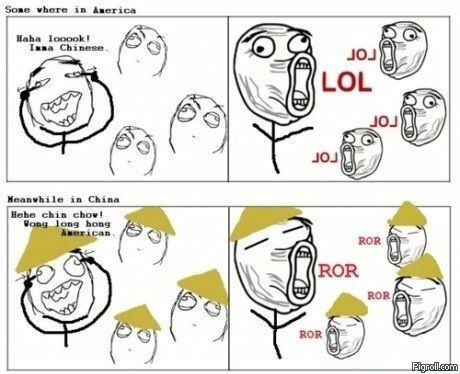 Imma Chinese. - Hehe chin chow! Wong long hong American.